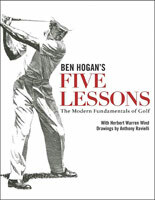 It is generally agreed that the term golf was borrowed from Middle Dutch colf or colve (a stick or bat used in a ball game called kolven), and that it were the Scots who added the unique element to the game that differentiates it from all other club-and-ball sports, namely the hole. But where and when exactly golf originated is still a mystery and the problem of the missing link has not been solved yet, unless one admits the (plausible) asian origin of the game. Some sport historians have suggested that golf evolved from several earlier sports involving a ball and a club or mallet, that pre-existed in Europe and the whole Mediterranean basin. One of the most ancient mentions of such a sport dates from Middle Egypt (2,600 BC) The image below stems from the tomb of Kheti In Beni Hasan (a governor during the 11th Dynasty). Image from the Tomb of Kheti (Beni Hasan BH 17) – 2600 B.C. The tomb shows everyday scenes from the Middle Kingdom, with pleasures of music, dancing and games with depictions like the one below representing two persons playing a game with clubs and a round object – it is unclear whether the round object is a ball or a ring, but the shape of the sticks is very familiar-. The name of the game is unknown but the fact that it was pictorally represented seems to prove its popularity. Most probably, the game was “exported” by the Egyptians to the Mediterrenean area, at that time, a flourishing marketplace. Athens National Museum – 1300 b.c. 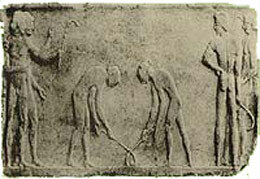 The ancient Greeks also had a stick-and-ball type of sport, probably adopted from the Egyptians. The picture below shows Greek athletes playing a game between field hockey and golf. Later, the Roman developed a sport called “PAGANICA” or “Paganicus”, that was quite popular. Unfortunately, no images are known of the ancient Romans playing this game but the basic rules are more or less known. The game was played with a bent wooden stick and a ball made of leather (probably filled with feathers or with air). However, even if we can find some resemblance with the ancient golf balls, it seems that Paganica balls were bigger, in the range of 5,5 inches (15 cm) of diameter. The objective was to hit a pre-selected target (a tree, a rock or something similar) or, according to other sources, there were two teams playing in opposite directions like in Hockey. Most probably different versions (and names) of the game co-existed. The Roman scribe Catullas, for example, refers to a similar game called pangea…. What is sure is that as the Roman Empire and the Romans expanded towards the North of Italy and Northern Europe, Paganica was also introduced to these Northern countries. It probably became the ancient root of several other sports played with sticks (or clubs) and balls being described later. A game called Bandy has its oldest record is a 13th century painted glass window in the Canterbury cathedral where a boy is holding a curved stick in one hand and a ball in the other. Shakespeare also mentionned Bandy in “Romeo and Juliet” – “The Prince expressly hath forbidden Bandying in the Verona streets”. The name of the game is derived from the Teutonic word “bandja” meaning a “curved stick”. The Irish equivalent of Bandy is called HURLEY. Robert Browning in his “History of Golf” of 1955, suggests that golf is possibly an offshoot of the Celtic/Gaelic hurley and may have originated in a form of practice indulged in by hurley players journeying across country to play an “away” match – a theory of considerable merit. One of these games was called “CAMBUCA” (or Cambuta) played in England in the 1300’s. Similarly to Paganica, this game was played with a bent club and with a leather ball (filled with feathers) . The scope of the game was to strike the ball till reaching a specific goal marked on the ground. Alternative sources describes this game as a competition between opponents with one attacking and one defending, even if, most probably, this rules belong to an Irish game of the 14th century called CAMANACHD. Its origin may come from the Celts game of “SHINTY” whose have also been lost. Hurling, Shinty and Bandy have all been played on both grass and ice, but as the climate in Great Britain and Ireland is relatively mild the grass version dominated.